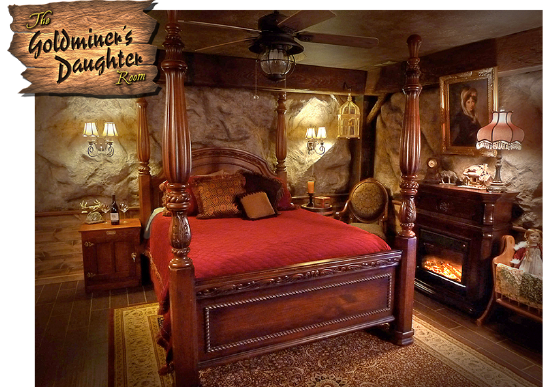 • A luxuriously themed master bedroom dubbed The Goldminer’s Daughter Room with its own elegant full bath. In our never-tiring quest to provide the absolute best for our guests, we’ve listened to you. 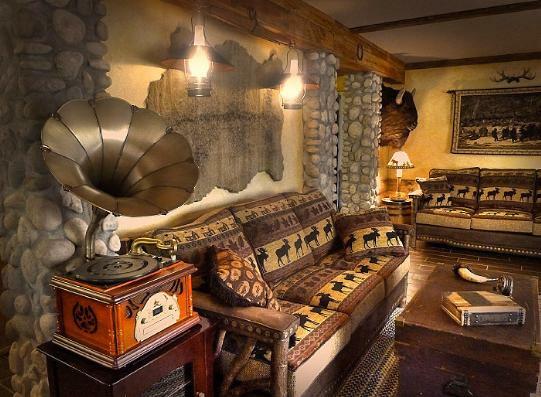 What we heard was an overwhelming desire to be able to enjoy the Log House Lodge with more than just two people in a your party. So we’re introducing a brand new Vacation Rental space with our customary over-the-top Log House Lodge flair for rustic luxury. And we’ve christened it: The Pioneer Suite. 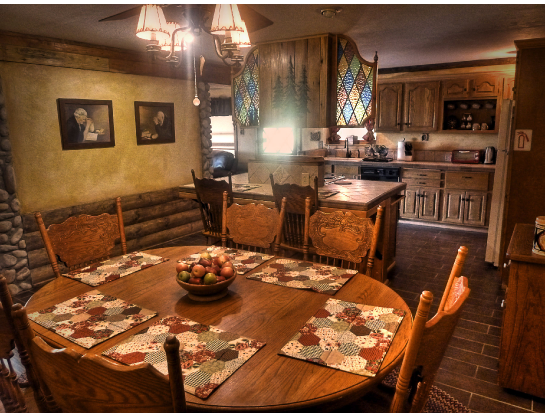 Enjoy meals, games, and family fun around the Traditional American dining table. Because the Pioneer Suite includes its own fully-equipped kitchen a variety of breakfast foods are supplied for your own preparation and private dining with your family.